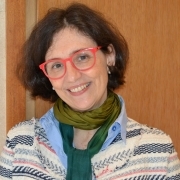 Manager of the Federació Catalana de Voluntariat Social. A volunteer, driven by an awareness that makes him or her sensitive to injustices, and driven by the resolve to role up their sleeves to transform their surroundings, is a person who goes to a non-profit organisation to collaborate. It is not one more human resource that is complementary to the role of employees and rids them of the burden of the tasks believed to have no added value. It is not a service supplied at the service of demand in organisations in the third sector. And a lot less at the service of the needs detected by the public administration. It is not a force of assistance intervention driven by a degree of an organized good will to do social charity. Volunteering is a conscientious objector and one who practices a stubborn insubordination to many interests; and non-profit organisations that want to take volunteering into account must always remember. Volunteering is a driver of change, also for us, in non-profit organisations, with our routines and comfort zones. Volunteering, in circles of entrepreneurial people and groups, has driven and consolidated initiatives of all kinds, with different legal statuses, bearing the not-for-profit label. A volunteer, driven by an awareness that makes him or her sensitive to injustices, and driven by the resolve to role up their sleeves to transform their surroundings, is a person who goes to a non-profit organisation to collaborate. The profile of volunteers is that of a person who is not too prone to make proclamations or mobilisations, but rather to work with perseverance and commitment. That is why volunteers often are in contrast with activists, who traditionally participate with more discourse and proposals. However, when a volunteer intervenes in the situation at hand (i.e. when they respond), he or she is empowered and gains skills, and stands in solidarity with the social actors acting with knowledge and perspective in a network. This, I believe, is the clearest sign that volunteering has reached adulthood, and is also its greatest gift. Congratulations to everyone who has made it possible to reach so far!